You do not need to be in government to know how slowly it moves. In business, that kind of inefficiency makes entrepreneurial mouths water. So it’s no surprise that America’s businessman-turned-president wants to speed things up. Now President Trump appears to want to pick up his predecessor’s legacy. Barack Obama more than any other president sought to apply Silicon Valley’s disruptive methods to government in an effort to make it work better for the people it’s supposed to serve. 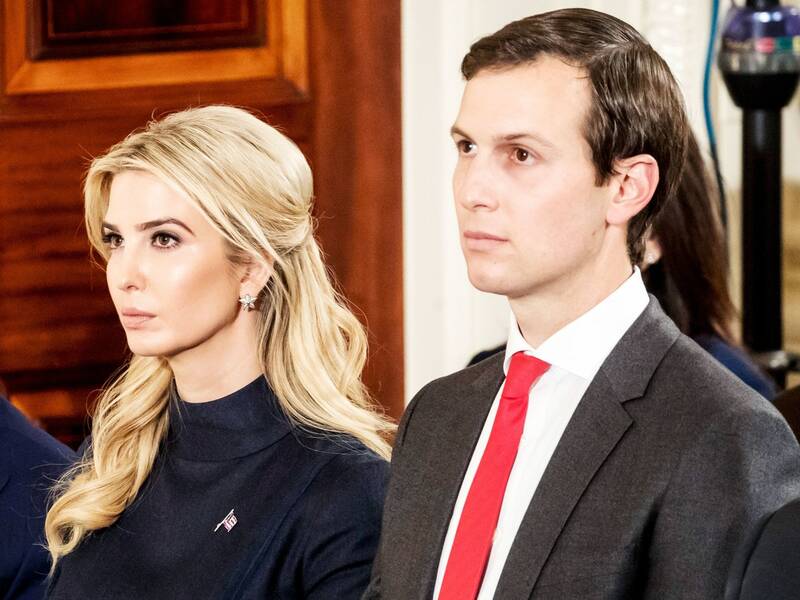 The White House has tapped Trump’s son-in-law Jared Kushner to lead the newly christened White House Office of American Innovation, which will reportedly operate like an in-house management consultancy, bringing fresh business ideas to government. Heavyweight contributors include Apple CEO Tim Cook, Salesforce CEO Marc Benioff, and Bill Gates—a bipartisan, technocratic group with serious bonafides in the innovation and policy departments. “I don’t always agree with this administration, but I think this is something that could actually transcend the ideological divide that we have and do some good,” says Harvard Kennedy School professor of government innovation Jorrit de Jong, author of the forthcoming book Dealing With Dysfunction. But to do it right, Kushner and company will need more than just outsider perspective; they’ll need a functioning government in place to actually get things done. Above all, they’ll need to tread carefully. Government acts as the support upon which all of democratic society sits. When Kushner and his team get to smashing, they need to steer clear of the foundation. According to reports, Kushner’s first priority is improving care for veterans. After that his team plans to turn their attention to the opioid crisis and eventually to rolling out broadband Internet to everyone in America. All three of these goals have at least some of the hallmarks of problems that benefit from a business-like approach, say policy experts. Such initiatives necessarily involve coordination between many parts of government—efforts where better technology can help streamline the kinds of communications and logistical inefficiencies that give bureaucracy its deservedly bad name. In particular experts cheer the choice of veteran care as a perfect example of a problem where startup-style innovation can actually help. Partisans on both sides agree that veterans deserve better support. At the same time, the system to take care of them suffers from delays and bottlenecks that better technology could fix. When applying the cult of innovation to government, the mantra should be less “move fast and break stuff” and more “move slightly faster and don’t break anything.” Destructive innovation can work well for a company like, say, Uber, which is accountable only to its customers. In destroying the limitations of the taxi industry’s traditional business model, Uber helps customers and hurts taxi drivers—or at least the owners of taxi companies. Someone wins, someone else loses. But government doesn’t have customers. It has citizens for whom the government theoretically works. In practice that means policymakers can’t cavalierly destroy something to build it anew. A functional democracy doesn’t pick winners and losers. It exists to serve everyone. The Trump administration last week experienced firsthand just what happens when you try to slash and burn, especially when the program you’re trying to incinerate—in this case the Affordable Care Act—provides an essential service for millions. Instead of winner-take-all disruption, Kushner and his team of tech A-listers should tackle broader issues of efficiency and collaboration, which can be solved with better technology or processes—things that add value without taking any away from somewhere else. “If you go to most government offices, the kind of communication technologies between staff members are really bad and old,” says Stanford political economist Neil Malhotra. “Saying you should be able to have more collaborative open source tools, like Github, that’s a win win.” Or take, for example, something like Intellipedia, an open-source solution to the problem of interagency collaboration between top-level spies. It may not be the reinvention of government, but it’s the kind of small change that makes the work of government easier. And that’s what the Office of American Innovation seems poised to achieve: iteration. What this group of Silicon Valley big wigs and business folk won’t do is fundamentally rebuild government. ‘Tim Cook may come in here and make some great suggestions, but they don’t have a government in place that can make reforms. Kamarck calls the stated goal to address the opioid crisis with buzzy business strategies “nonsense.” And though she agrees that veteran care is a perfect place to apply some private sector know-how, she says Kushner would do best to ask for insight from people with experience managing hospitals and health care programs. In other words, he needs to find the private sector correlate to whatever in government he wants to fix. Kushner will also need people inside the government to actually do the work. “Tim Cook may come in here and make some great suggestions, but they don’t have a government in place that can make reforms,” Kamarck says. “The assistant secretary level is where there’s actual legal authority to do things, change things, spend money.” Right now, hundreds of those jobs remain unfilled.